No more trying to juggle your "Smiley Face" viewbox along with your other teaching aids. This nylon heavy-duty bag will do it all for you. 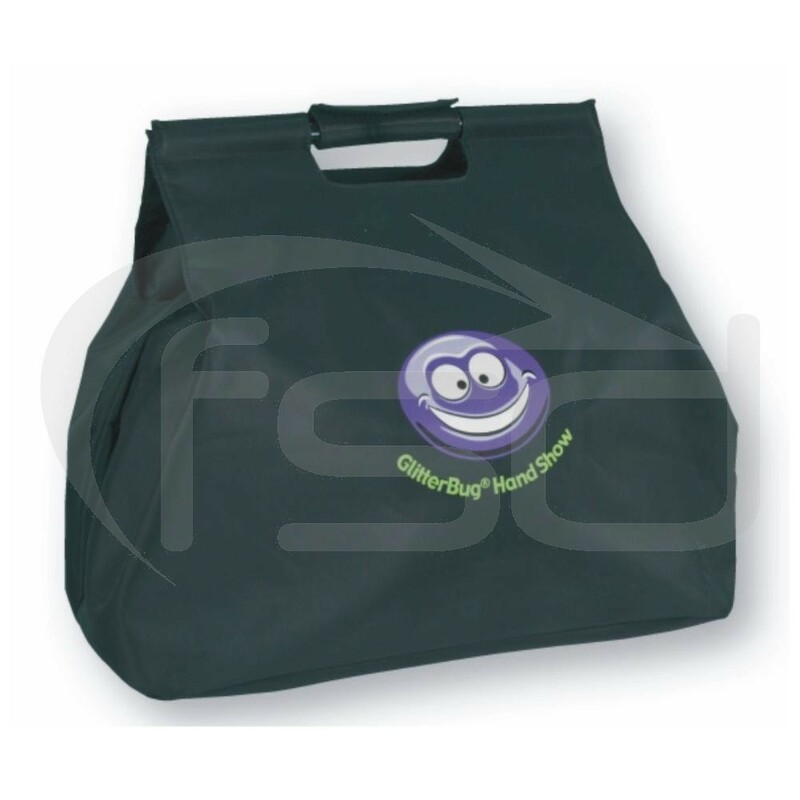 Bags are custom-made with high-quality materials for a stylish appearance and superior durability. The bag itself is made from a top-quality nylon fabric. It has ample velcro strips sewn in for secure closure. The attractive handles are a hygienic acrylic plastic in an attractive translucent-purple color. A nylon and velcro handle-wrap holds the handles together for a comfortable grip. Along the back side of the bag we have added a generously large pocket for carrying your notes and other printed materials. The training materials that come with your kit have lots of room to store inside the main compartment.